FlashCash: Pay all at once ! 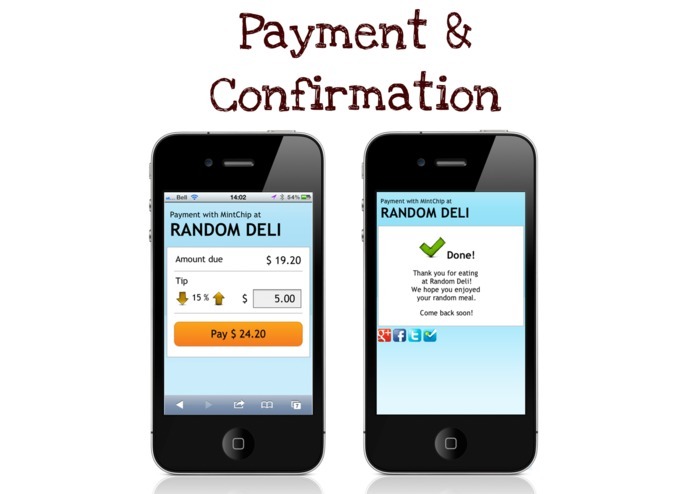 In most daily situations, payment takes a few seconds and is not a source of frustration. However, there are some situations where paying is a pain. In restaurants for example, whenever a large group leaves the restaurant and is ready to pay, processing credit cards and handling change inevitably takes forever and removes some of the magic of an otherwise enjoyable experience. What if we could all pay at the same time ? This is where FlashCash comes in. 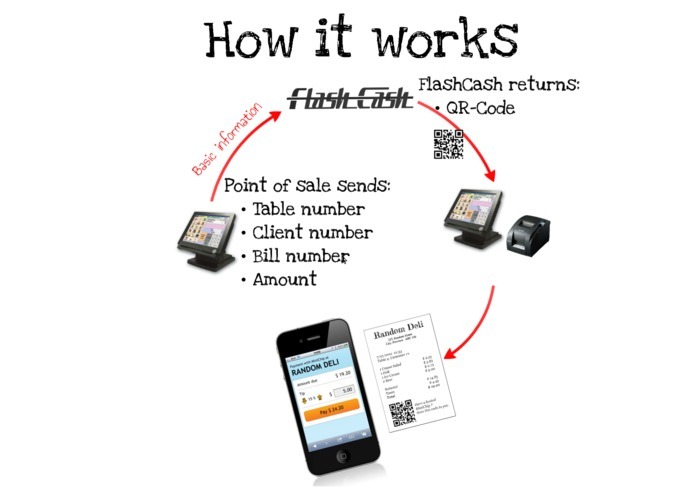 FlashCash is a web application that connects directly to the restaurant's point-of-sale (POS) terminal. 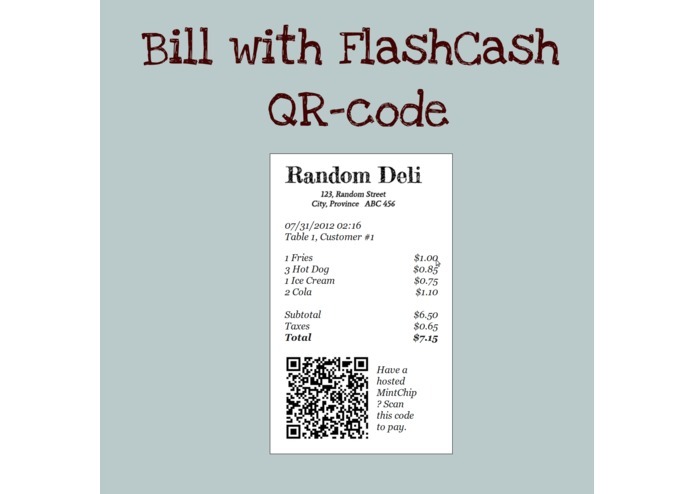 When the waiter prints a receipt, FlashCash adds a custom QR-code to the receipt. 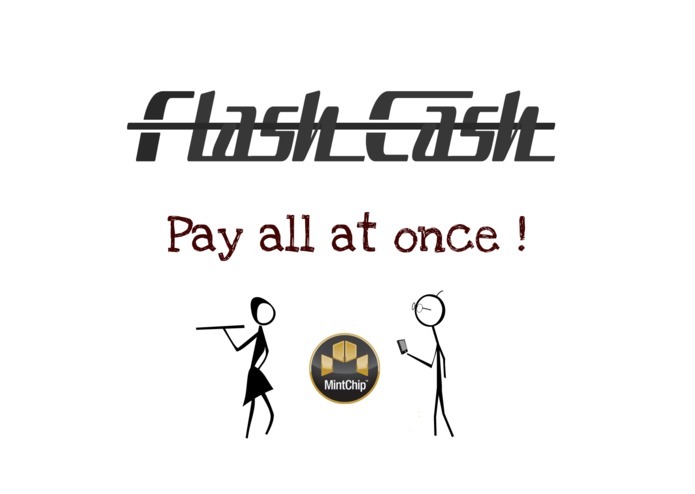 Customers owning a smartphone and a hosted MintChip simply scan the receipt which brings them to a customized FlashCash web page showing the amount due and an entry box for the tip. Once the client authorizes the payment, the total is debited from the customer's MintChip and transferred to the restaurant's MintChip. 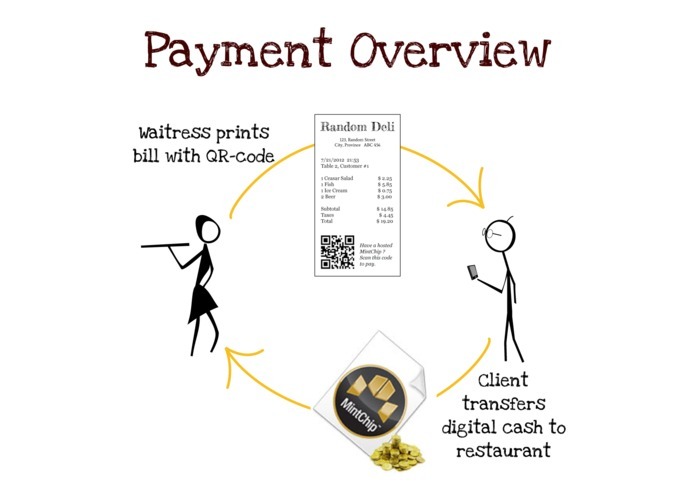 FlashCash monitors these payments in real-time so the waiter knows exactly who paid their bill using digital cash. Simply put, FlashCash bridges the restaurant's POS with MintChip's technology. The whole process is quick and really simple. Instead of the waiter processing each payment one after the other, all clients can now pay at the same time. Even if only one customer at the table has a MintChip, this is still one client less for the waiter to collect – and that speeds up the process for everyone else. From the business owner perspective, the requirements are pretty light: adapt the POS to talk to FlashCash, get a hosted MintChip and provide customers a web access. The benefits are pretty good: owners save on credit card fees and will enjoy faster table turnout.